Listing courtesy of Hyunsuck Kim (CalBRE #01448463), New Star Realty & Investment. 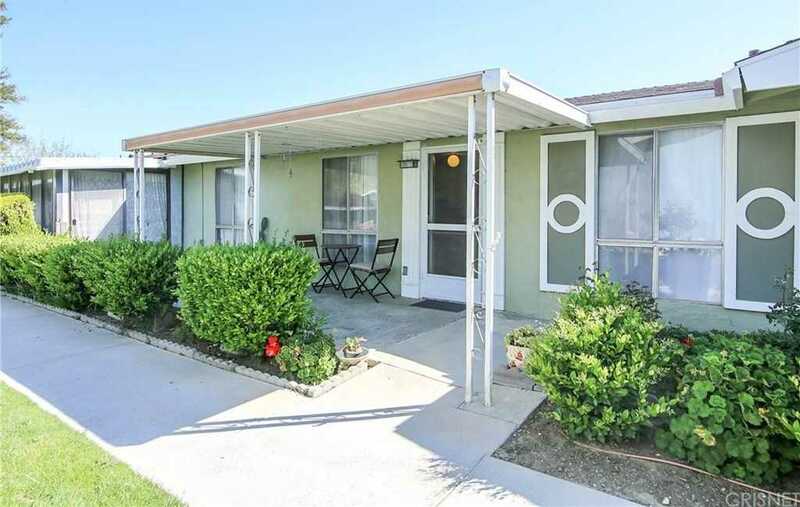 55+ Senior Condo complex located in the city of Santa Clarita. This single-story home includes 1 bedroom and 1 bathroom. This beautiful house presents hard wood flooring throughout the house and tiled flooring in the bathroom. Featuring spacious living room connected to dining area and kitchen. This unit features kitchen built in oven. Bedroom features spacious floor plan for convenience. Front patio is available for extra relaxation along with large grass area. Inside this gated townhouse, it includes Friendly Valley Golf Course, Poitras general dentistry, and clubhouse which includes arts & craft for residents. Amenities includes swimming pool, 9 hole golf course, and clubhouse. Conveniently located to familiar restaurants and shops. Building size: 666 sq ft.